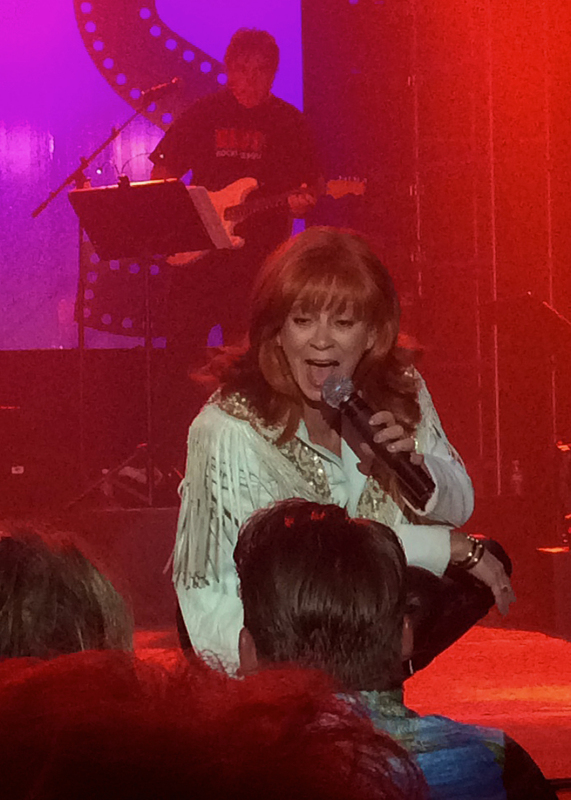 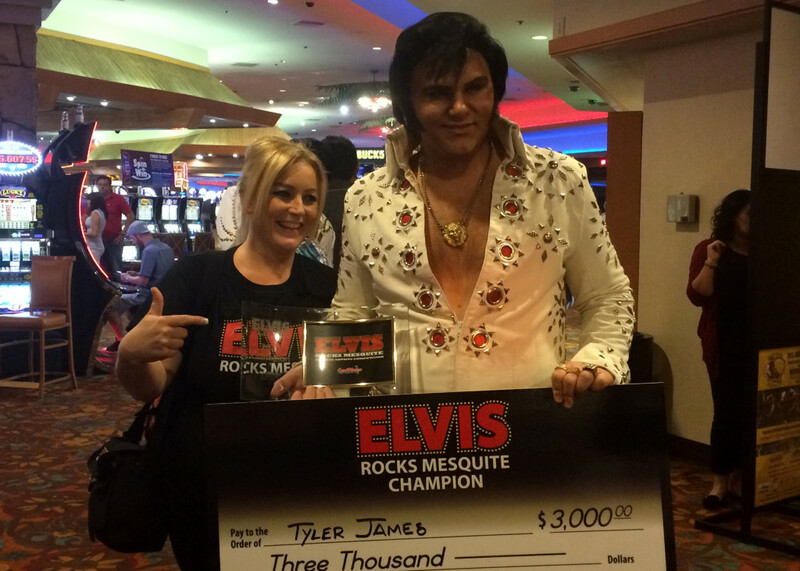 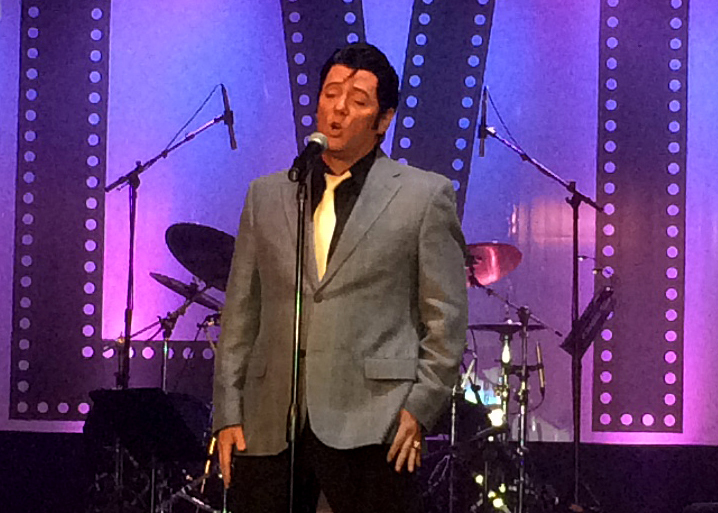 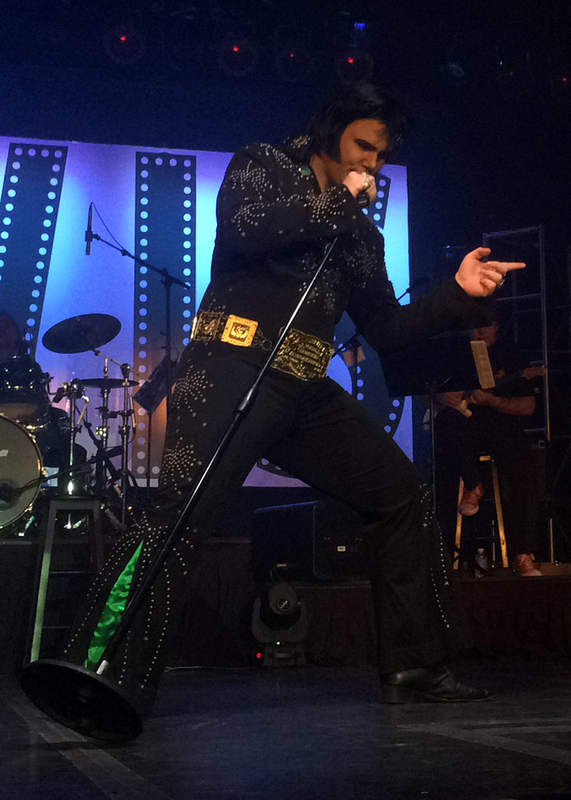 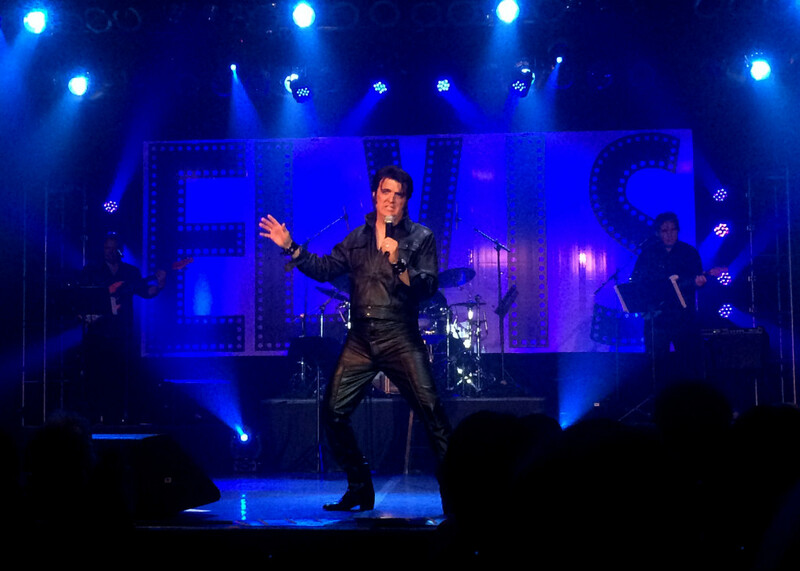 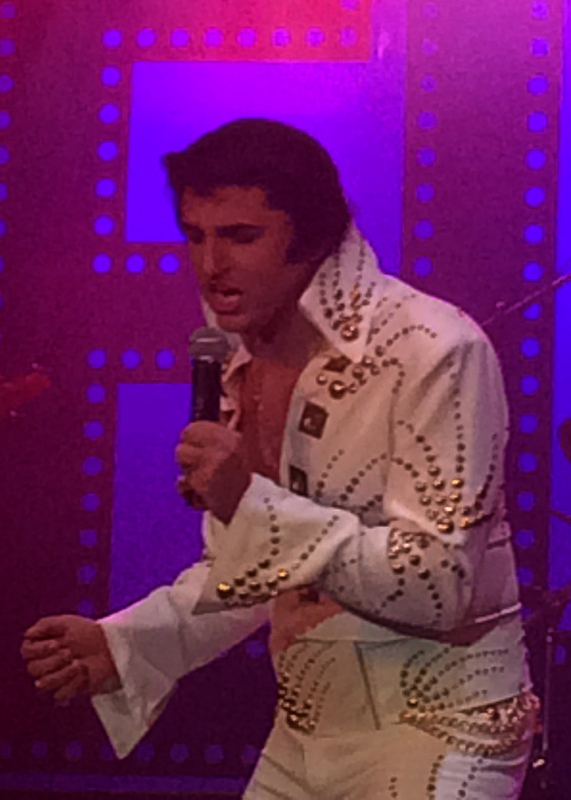 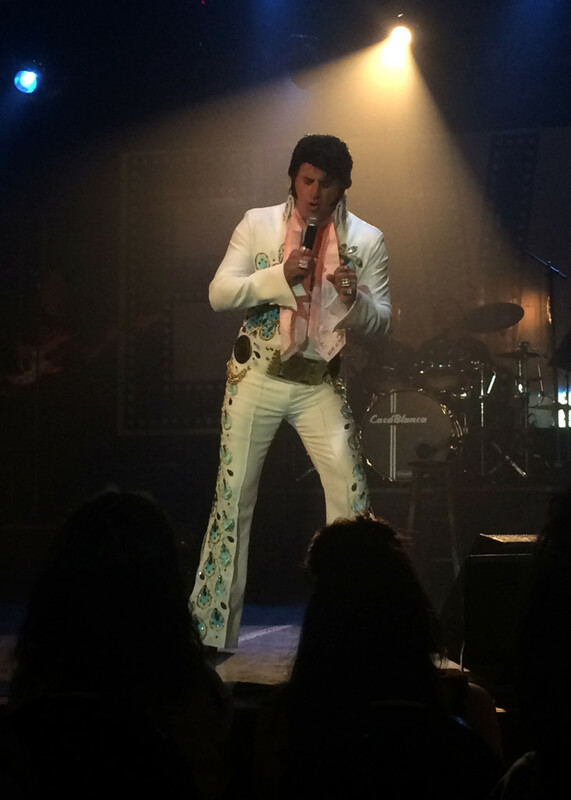 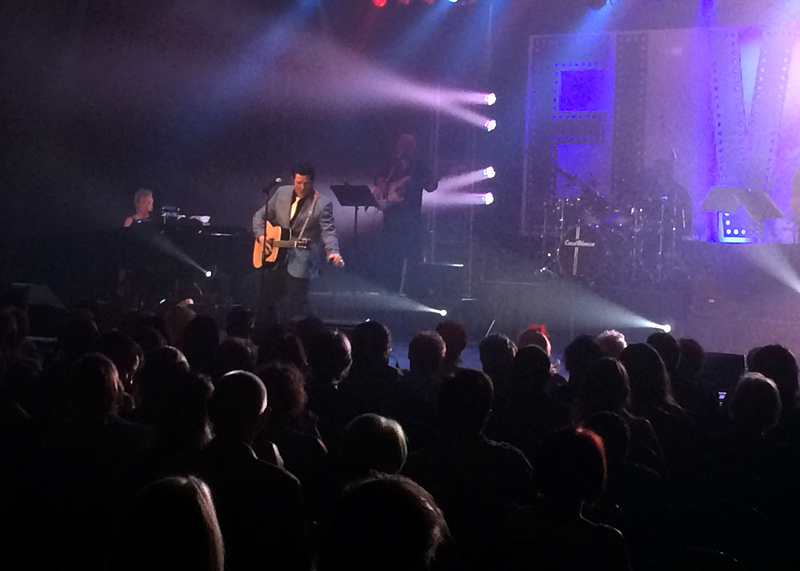 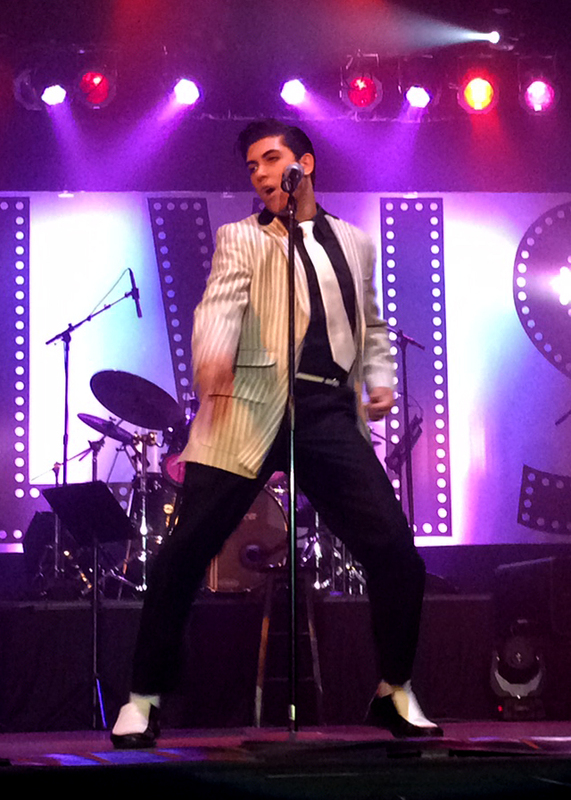 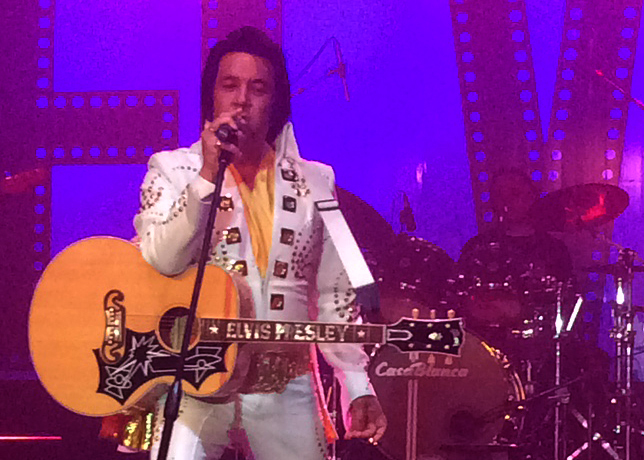 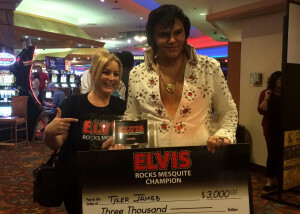 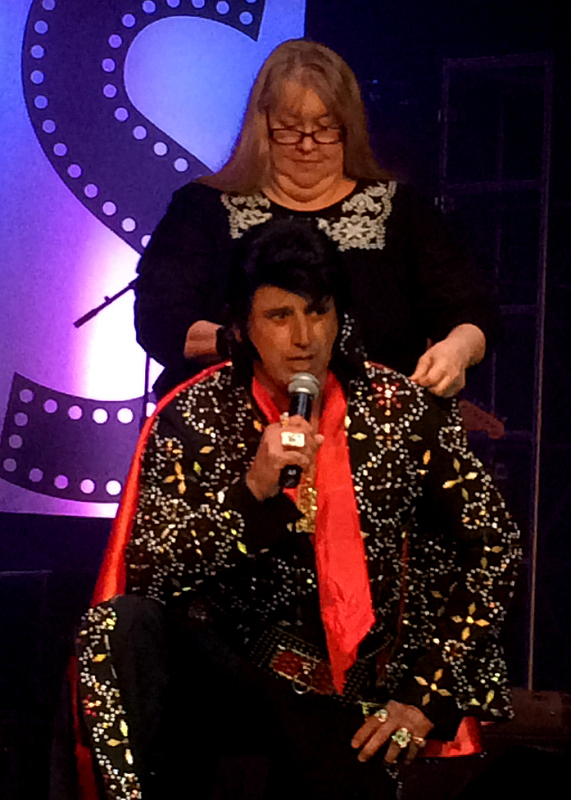 MESQUITE, Nev. – Elvis tribute artists from all over the country gathered at the CasaBlanca Resort and Casino, 950 W. Mesquite Boulevard, in Mesquite, Nevada, to pay tribute to The King of Rock ‘n’ Roll in the only way an Elvis artist knows how – impersonating the man who inspired it all. Donned in jumpsuits of all colors and styles, the 16 “Elvi” who took the stage ranged in age and background, but all of them shared one thing, a deep love for the man who turned Rock and Roll on its head nearly 60 years ago. 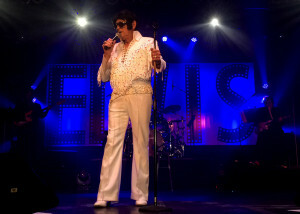 Though some of the impersonators weren’t even born when Elvis Aaron Presley first appeared on the Ed Sullivan Show on Sept. 9, 1956, each of them offered spirited, passionate renditions of his music from each era of Elvis. 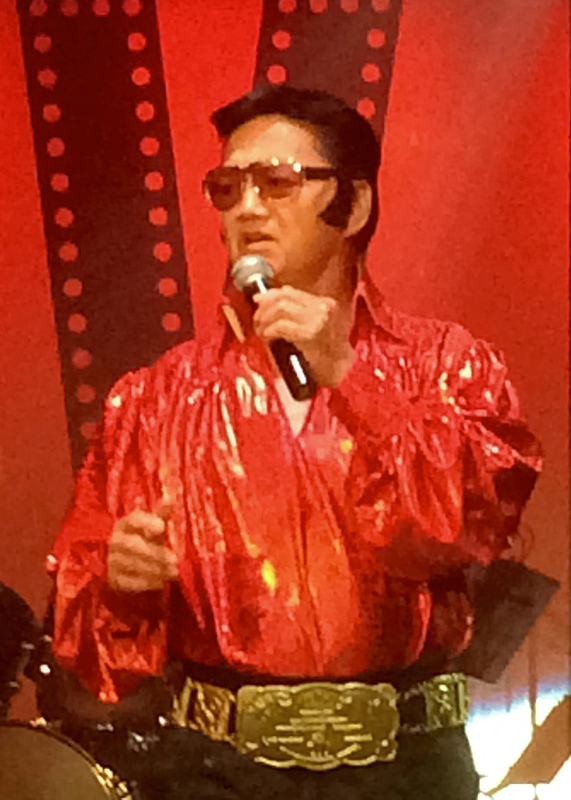 The competition was divided into three elimination rounds by eras, the 50s, 60s and 70s, with a final round for all of those who made it through to the end. 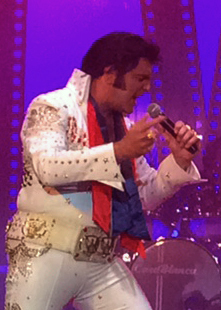 Four winners were chosen from each era based on four pieces of criteria; vocals, appearance, stage presence and overall performance; vocals counted double. 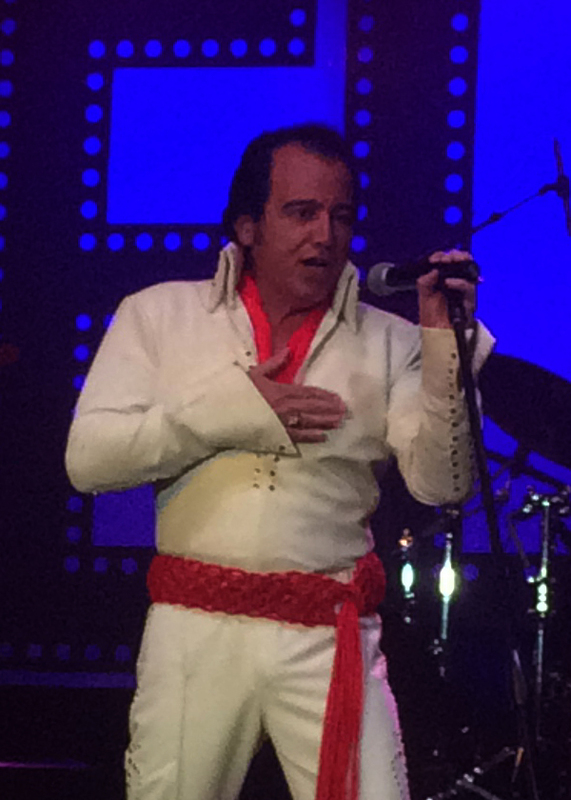 While wooing the crowd Doc pointed out that if Elvis were still alive today, he most certainly would not have a thick head of dark, black hair and full sideburns as he tore his disguise off and passed it to his wife before moving on to his second song. 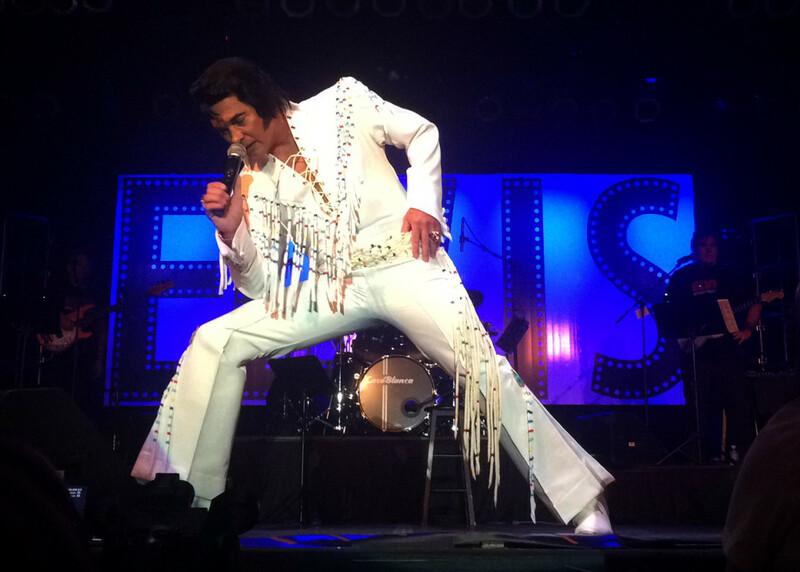 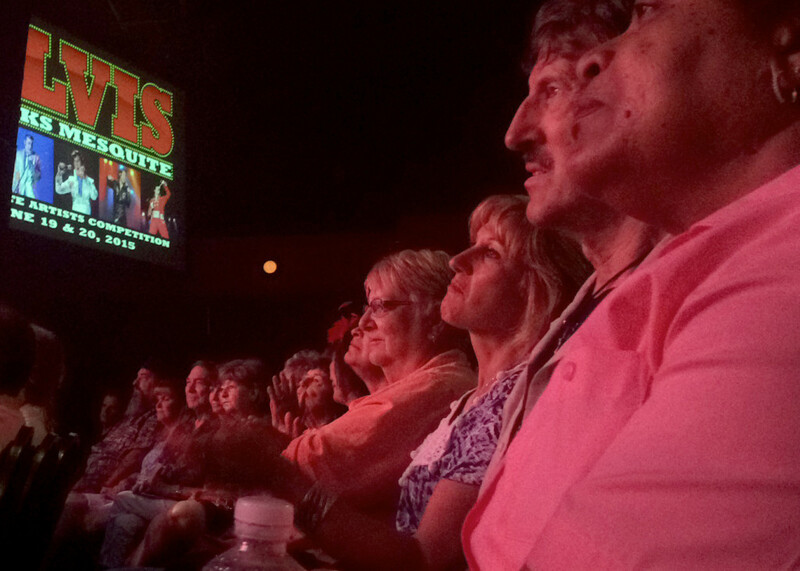 Though the seats were sparsely filled early Saturday afternoon for the ’70s-era portion of the competition, the concert hall inside of the casino was packed wall to wall with wild and crazy Elvis fans for the grand finale. 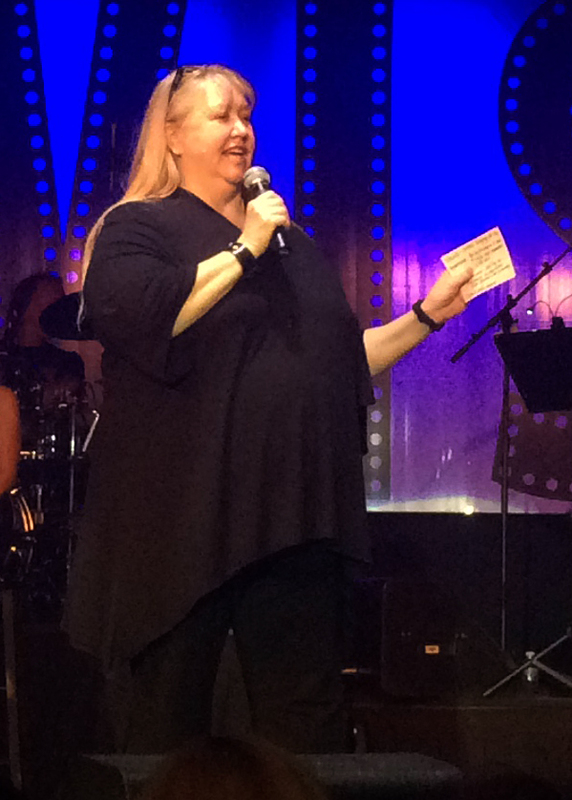 For the first year ever, event director Krissy Ayon said, performances were coupled with a live band, rather than using prerecorded music to accompany their set. 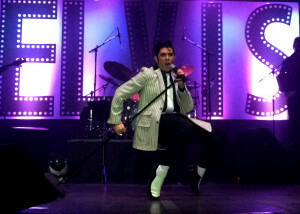 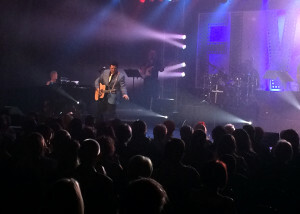 It made for a livelier competition and challenged some of the Elvis artists who had never sang with a live-band before. 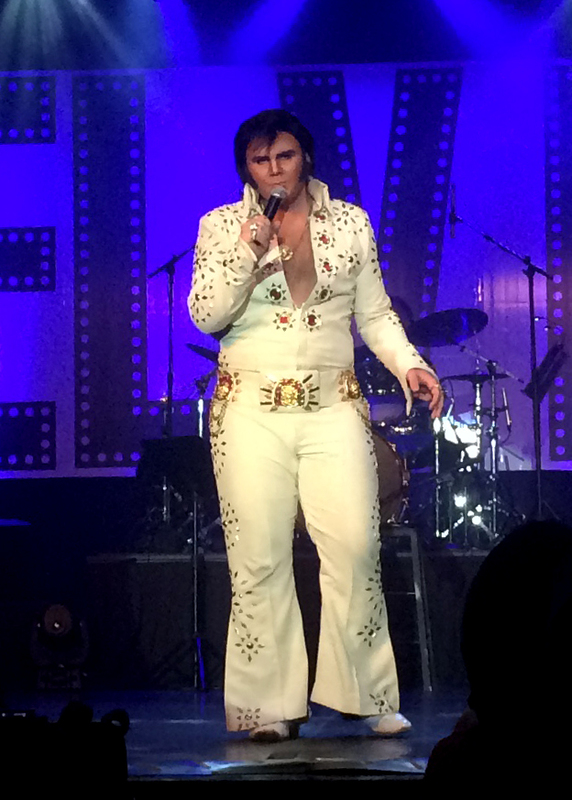 The competition has gone through some changes this time around, Ayon said, and that is because they are hoping to become a preliminary round in the near future for the Ultimate Elvis Tribute Artist Contest which is produced by the events team at Elvis’ home in Graceland. 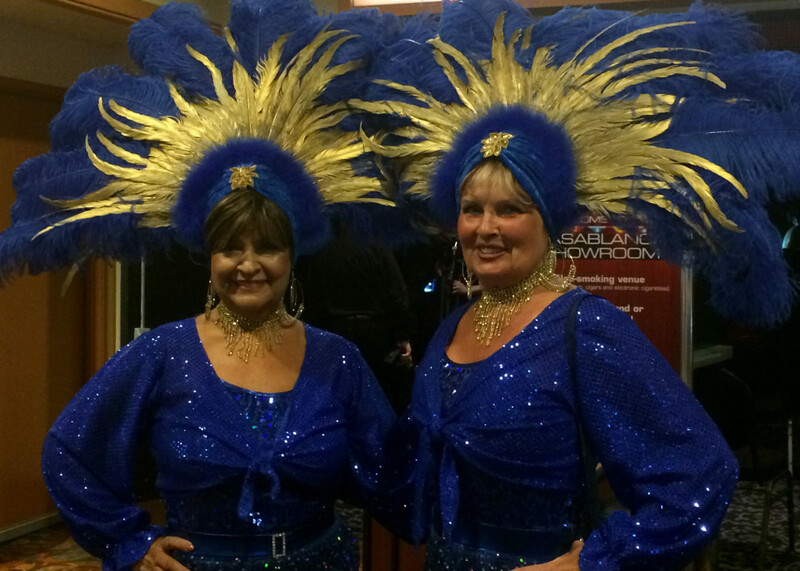 Along with stepping up the show by adding a live-band, Ayon said, they took on some of the rules established by the Ultimate contest, including a ban of the gifting of scarves – a popular gift to adoring fans that Elvis was known for in the ’70s. 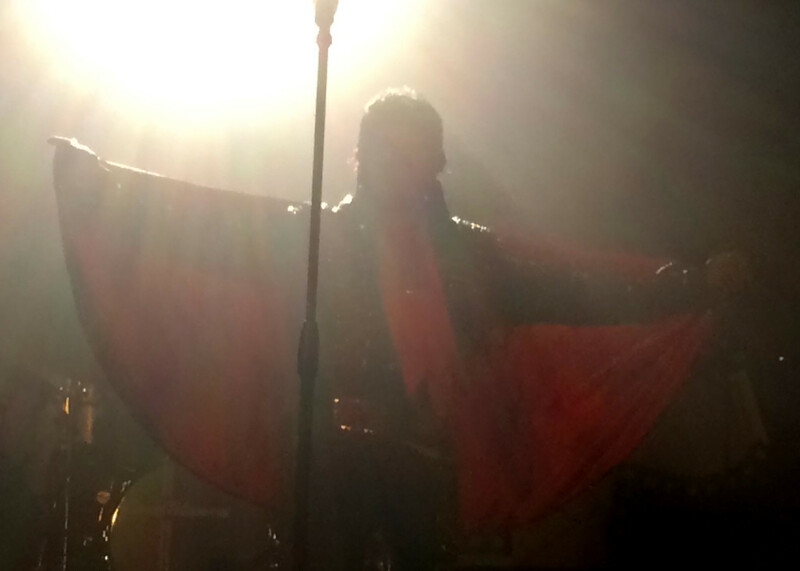 This particular change was met with gripes from audience members who were hoping to land a scarf of their own, but the energy put into each performance made up for the heavy hearts. 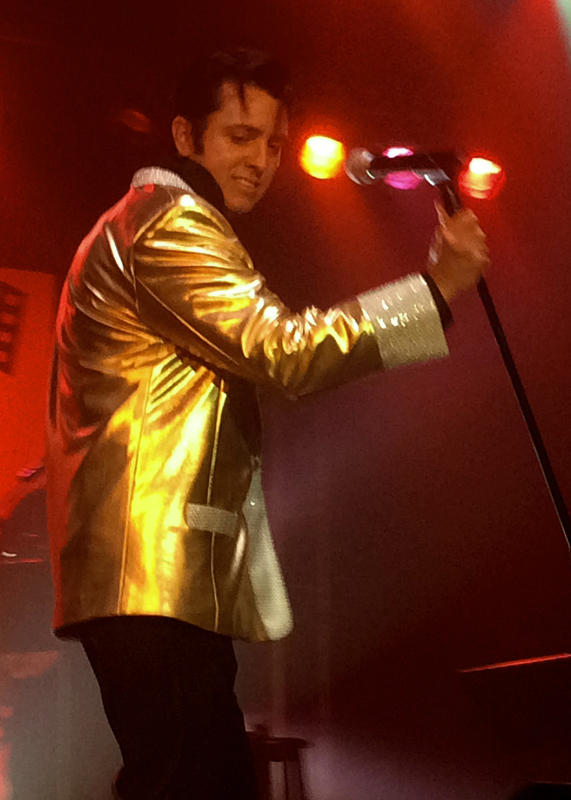 As the men each took turns wowing the audience, it was as if the entire room had been transported through time and women, young and old, lost their minds screaming in adoration for the wild-eyed young star whose gyrating hips caused such a stir around the world for the vulgarity and sexual connotation attached. 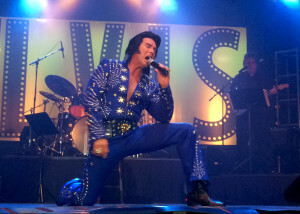 The performers each did their best to emulate the charm and charisma Elvis was known for throughout his life, but in the end, only one performer could come out on top in each round.